At a first glance, some customers ask us why they should choose to use Fast Private Jet to book a private jet flight, rather then book the service directly from an operator? The answer is simple, but deserves a thorough analysis. 1. The private jet operator has a fleet of aircraft that is usually located in a specific geographical area where the carries generate its primary activity, for example, Geneva. Now, let's say that the customer wants to take off from London, and that he choose the same operator every time. in this case, the customer will pay a much higher price for the positioning flight performed from the operator in advance to move the aircraft from Geneva to London, and then perform the flight requested by the customer. It is therefore clear that a single operator can never be competitive compared to Fast Private Jet, which instead identifies the operator who is closest to the starting point decided by the customer, in this case London, saving the customer up to the 30% of the price of a private jet flight, compared to the price that he would have paid if he had chosen the operator directly. 2. An even more important issue concerns safety. Choosing an operator instead of another, for a private jet flight is something crucial to make the flight as safe as possible. Fast Private Jet has created a network of partners that meet the highest standards in terms of safety, maintenance and pilots training. Fast Private uses only private jets of companies that own an Airworthiness Operator Certificate. This certificate is issued by the authority who manages the aeronautical field of the country under the direct responsibility of the Ministry of Transport. This certification is subject to periodical checks. Safety First, never take it for granted. 3. 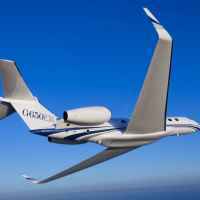 Another feature that encourages customers to choose Fast Private Jet is the 24/7 support. Our customers do not feel as a number, but people with extremely high expectations, listened to and understood. 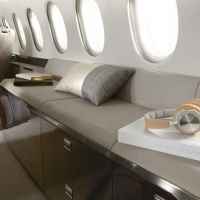 Through Fast Private Jet, they know that they can speak directly with us without waiting for many minutes on the phone or depending on cold and unfriendly communications via e-mail. Each customer is assigned to a person of our team, who will follow the customer in every request, from the very first moment and in every stage of the booking and flight process. Do not hesitate to use the online chat or WhatsApp for any additional information, we will be happy to hear from you and give you the assistance needed.